In recent years the University of Nebraska has been developing a Digital Commons internet library that is freely available on-line, and that includes publications in the humanities and sciences. The Digital Commons is a national on-line digital library that serves as a repository for scholarly publishing. It is a collection of a university's scholarly effort that preserves and makes accessible information via the internet that is produced by that institution. It may include preliminary or final copies of journal articles, theses, dissertations, conference proceedings, books or other scholarly materials. The University of Nebraska has been an active participant in this national effort, and its digital holdings are among the largest in the country. Specific titles may easily be found though the usual search engines, such as Google. The University of Nebraska's facility (the Center for Digital Research in the Humanities) is located in Love Library on Lincoln's city campus. Over 40 of Dr. Paul Johnsgard’s publications that are no longer easily available as hard-copies can be freely accessed through UN-L's Digital Commons. The list below is limited to those titles that variously relate to the birds of Nebraska and were entirely or in part written by Dr. Johnsgard. They can be accessed at the URLs indicated. Additional titles will be added as funding allows, and a complete list of Dr. Johnsgard’s on-line titles can be found at the URL shown above. "A Guide to the Natural History of the Central Platte Valley of Nebraska" 2008. "Birds of the Great Plains: The Breeding Species and Their Distribution.” 1979, with a 2009 Supplement. "Body Weights and Species Distributions of Birds in Nebraska's Central and Western Platte Valley." 2008. (With W. Scharf, J. Kren and L. R. Brown). "Grouse and Quails of North America." 1973. "The Birds of Nebraska. 2007 ed. “A Nebraska Bird-finding Guide.” 2009. “Diving Birds of North America.” 1987. "A Century of Breeding Birds in Nebraska." 2000, (With Jackie Canterbury). "A Century of Ornithology in Nebraska: A Personal View." 2000. "A Half-Century of Winter Bird Surveys at Lincoln and Scottsbluff, Nebraska." 1998. "Comments on Nebraska's Falconiform and Strigiform bird fauna." 2001. 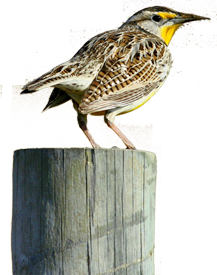 "Distributional Changes and Interaction between Prairie Chickens and Sharp-Tailed Grouse in the Midwest." (with Robert Wood.) 1968. "Ecogeographic Aspects of Greater Prairie-chicken Leks in Southeastern Nebraska." 2000. "Nebraska's Sandhill Crane Populations, Past, Present and Future." 2003. "The Ultraviolet Birds of Nebraska." 1999. Published by the Authors, 1405 Little John Road, Bellevue, Nebraska 68005. School of Biological Sciences, University of Nebraska, Lincoln, NE 68588-0118. Available from the author. Includes maps, directions to and descriptions of public areas in Nebraska. School of Biological Sciences, University of Nebraska, Lincoln, NE 68588-0118. Available from the author. An update of Johnsgard's "The Birds of Nebraska and Adjacent Plains States", 1997. Published by Falcon Press, Helena and Billings, Montana. and the entire $8.95 stays in Nebraska for nongame conservation projects. Compresensive Description of breeding records for Nebraka birds with maps for each. Orders may be sent to the Nebraska Ornithologists Union, W-436 Nebraska Hall, University of Nebraska-Lincoln, Lincoln, NE 68588-0514. Single copies are $30 plus $5 postage. Please inquire about pricing for multiple copies. **Atlas volunteers can purchase a copy for $20 plus $5 postage. Published by the NOU and the Nebraska Game and Parks Commission, available from the NOU. Comprehensive description of breeding records of 191 species, with maps for each. Published by the Nebraska Game and Parks Commission. No editor given, each chapter by a different author, lots of pictures. Birding Nebraska, Jon Farrar, editor. Colorful state-wide guide to over 450 species. Sharpe, Roger S., Silcock, W. Ross and Jorgensen, Joel G. 2001. Birds of Nebraska, Their Distribution and Temporal Occurrence. University of Nebraska Press, Lincoln. instructions to observers interested in finding the species. Bleed, Ann and Flowerday, Charles, Editors. 1990. Published by the Univ. of Nebr., Institute of Agriculture and Natural Resources, Conservation and Survey Division. Faanes, Craig A. and Gary R. Lingle. 1995.
breeding season, the effect of habitat alteration on species distribution and abundance. A Preliminary Assessment of Eastern Rainwater Basin Birdlife. Birding Crane River: Nebraska's Platte. Vol. XXVI, No. 3, June 1994, Birding, published by the American Birding Association, Inc. P.O. Box 6599, Colorado Springs, Colorado 80934. Vol. XXVI, No. 6, December 1994, Birding, published by the American Birding Association, Inc. P.O. Box 6599, Colorado Springs, Colorado 80934. Illustrations by Dorothy J. Rosche. Published by the author. Scharf, William C., Josef Kren, Paul A. Johnsgard and Linda R. Brown. Body Weights and Species Distributions of Birds in Nebraska's Central and Western Platte Valley.